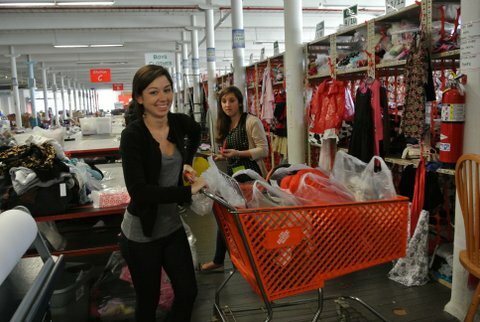 Volunteer Hannah and her sister “shopping” at the mill, to complete an order submitted for a local child in-need. Distribution partners are our link to homeless children and children living in poverty on the SouthCoast. They are social workers, nurses, teachers, guidance counselors and many other people who work directly with children. The process of getting children’s items into the hands of needy kids is simple. Distribution partners use our custom-built, online shopping portal to tell us what the kids need. Our volunteers then “shop” our mill to find the best items we have. The partner drops by the mill and picks up their order. This happens several thousand times a year! Who are our Distribution Partners? We have hundreds. A complete list can be found here. Want to Become a Distribution Partner? Click here for more information and our application. Parent/Guardian? We ONLY distribute items through local community agencies, not to the general public. If you need assistance for your child, we recommend contacting a service agency on our list of approved distribution partners.